From 2014 to 2016, ICNC ran its Learning Initiative Network (LIN) program, which supported the work of individuals and teams who are strongly committed to learning and spreading knowledge about civil resistance in their communities. From 2017 onward, ICNC shifted its focus away from accepting new LIN applicants and began administering small grants to LIN alumni through our Small Grants Program. In the future, ICNC may re-establish the LIN program and accept new applicants if we have the capacity to do so. Participants complete an activity during a training on nonviolent strategy, tactical innovation, and gender issues in civil resistance, conducted by a 2016 LIN fellow. Becoming a LIN fellow was a competitive process that involved a proposal to develop a local initiative (such as a series of workshops, the development of educational materials, translations, videos, and other products) to share civil resistance knowledge in the fellow’s community. Once accepted to the program, LIN fellows committed to a period of study of nonviolent civil resistance (through an online course designed and moderated by ICNC) and engagement with other fellows and experts on civil resistance. The bonds that formed among the LIN fellows during this time would often lead to ongoing exchange of ideas and advice throughout the program and beyond. After the online learning period, fellows would meet for an in-person working seminar to finalize their curriculum, critique each other’s projects, develop monitoring and evaluation plans, and receive personalized feedback from the ICNC team. Based on this foundation, fellows would then launch their projects. Most projects included educational workshops, curriculum development, translation of educational materials, and the development of locally-based learning activities or educational resources adapted to their specific context and communities. 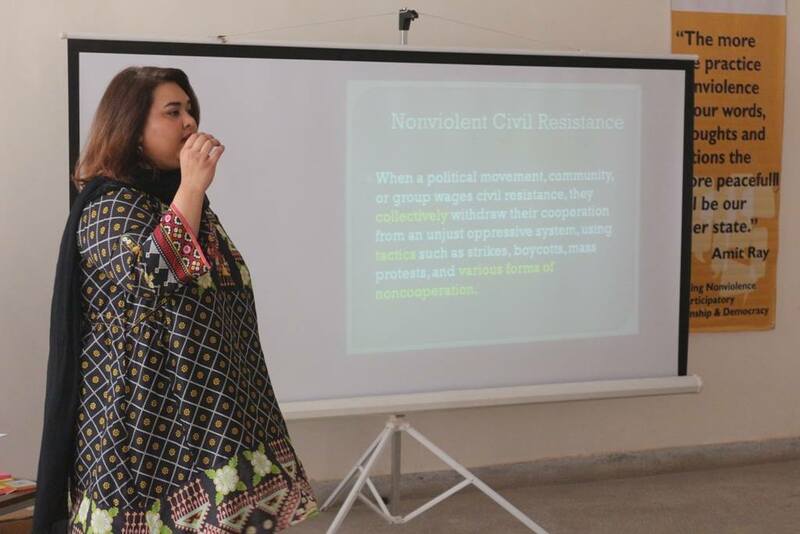 Participants during a workshop on fundamentals of nonviolent civil resistance. LIN 2016. The 2014 LIN group included participants from Afghanistan, Armenia, Cameroon, South Africa, and Vanuatu. 11 workshops were conducted for over 330 participants, with an estimated broader reach of over 3,000 people. In 2015, LIN fellows were from eight countries: Armenia, Brazil, Burkina Faso, Cameroon, Ghana, Kyrgyzstan, Pakistan and Venezuela. Collectively, fellows held workshops and trainings that impacted over 850 people, with an estimated indirect reach of 8,500. In 2016, ICNC doubled the size of the LIN program, and awarded fellows from Cote d’Ivoire, Democratic Republic of Congo, Honduras, Hungary, India, Kenya, Madagascar, Mexico, Pakistan, the Philippines, Thailand, Uganda, and Zimbabwe. LIN 2016 directly reached over 2,000 people through the trainings, workshops, radio shows, community meetings, and events held by fellows, and indirectly reached a broader audience of up to 20,000 people in 13 countries. Over the past three years, LIN has deepened the knowledge and skillsets of activists from 22 countries and supported these activists in developing workshops, training manuals, and translations on civil resistance in 20 languages that have directly impacted over 3,000 people and reached over 30,000. Workshop activity conducted by LIN 2016 fellows. • The development of a strong network of coaches, trainers, and mentors in the field of nonviolent struggle who can support and educate each other and communities across the globe. ICNC held the LIN program for three years (2014-2016). In 2017, rather than hold a fourth consecutive LIN fellow cycle, ICNC launched a competitive Small Grants program in order to provide additional support and mentoring to several past LIN fellows and Summer Institute graduates. ICNC’s new Small Grants Program will allow LIN fellows and other alumni of ICNC programming to deepen or scale up their work. Below we highlight some of the projects implemented by our LIN Fellows over the duration of the program from 2014-2016. 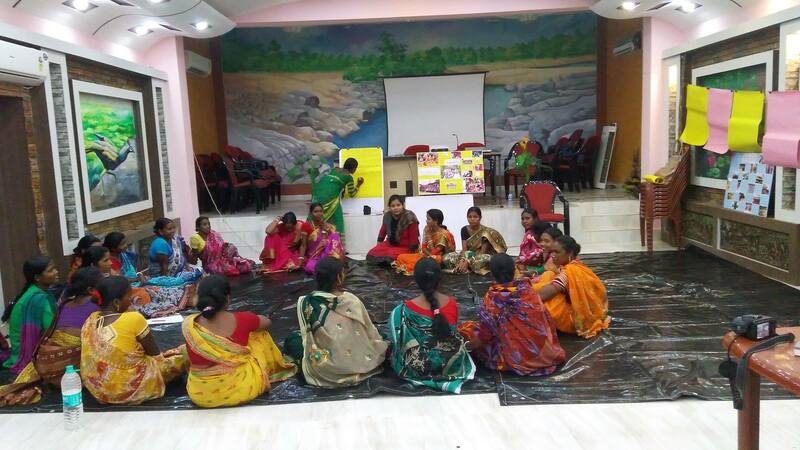 Arnab’s project focused on working with women in extreme poverty who face discrimination in their communities often resulting in neglect and abuse. These women feel powerless, each with a deeply limited sense of self-efficacy (self-worth and ability). The project’s goal was to make change possible for women who individually feel powerless, who have not experienced a fair world, and to create such a world for themselves. Two training of trainer workshops were organized for professionals from the nongovernmental organization PRADAN to introduce them to the concepts underpinning civil resistance and nonviolent movements. This was followed by two training programmes for the community women to embolden them to occupy public space and assert themselves as equals in society and with various actors that have contributed to their present situation. 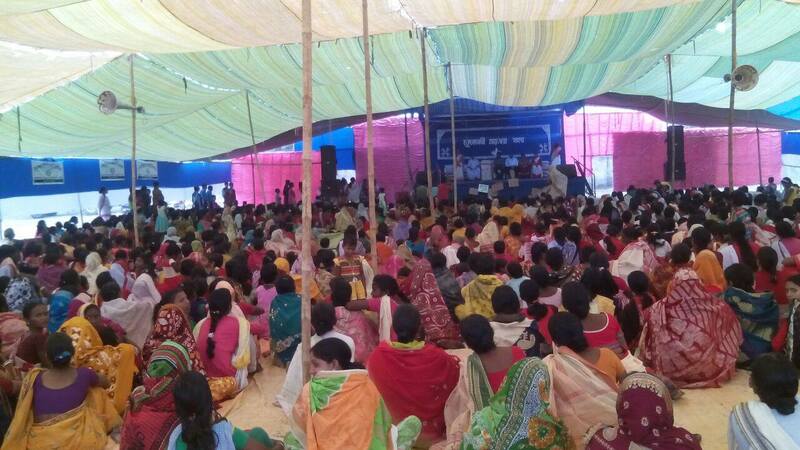 Forty-three women leaders participated in the training programme and have shared their learning with another 300 women. 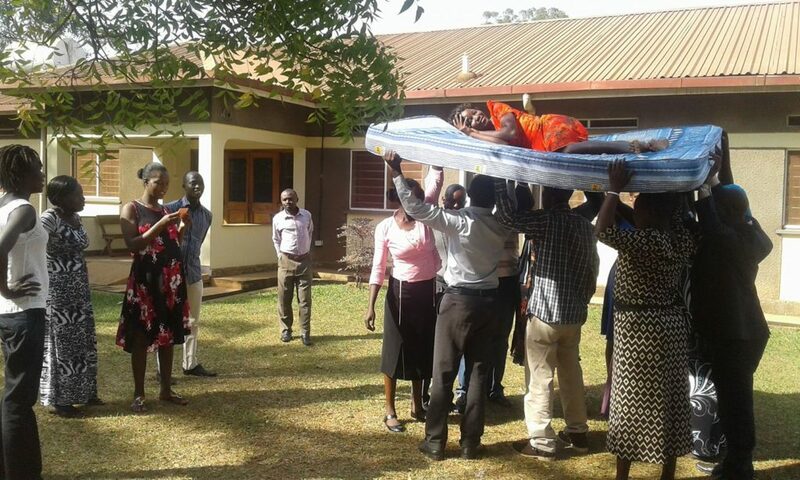 Numerous field visits led to the inclusion of another 800 women and their various movements and organizing efforts around issues such as stopping alcohol abuse resulting in physical violence and improvements and transparency in the various Government programmes. On March 8th, 2018 these women have organized a big rally gathering over 3,000 women. As of today, these movements have started conveying great stories of change helping these women assert themselves as equals and take charge of their lives. The biggest change in these women is a mental transformation and belief that she counts, that she has agency (”Power within’’). She has also started believing and experiencing those poor women working together can create synergy, a very powerful social capital to create social and political space for them to change the distribution of power in society (“Power with”). The “Learning Nonviolence for Participatory Citizenship and Democracy” project aimed to introduce nonviolent action and civil resistance as an effective tool to fight against oppression and hold duty bearers and the state accountable while demanding transparency in a democracy. Mariam conducted a series of three-day workshops, using participatory techniques, equipping participants with skills applicable in their social work and activism dealing with corruption, oppression, and violation of human rights to bring desired change in their communities. 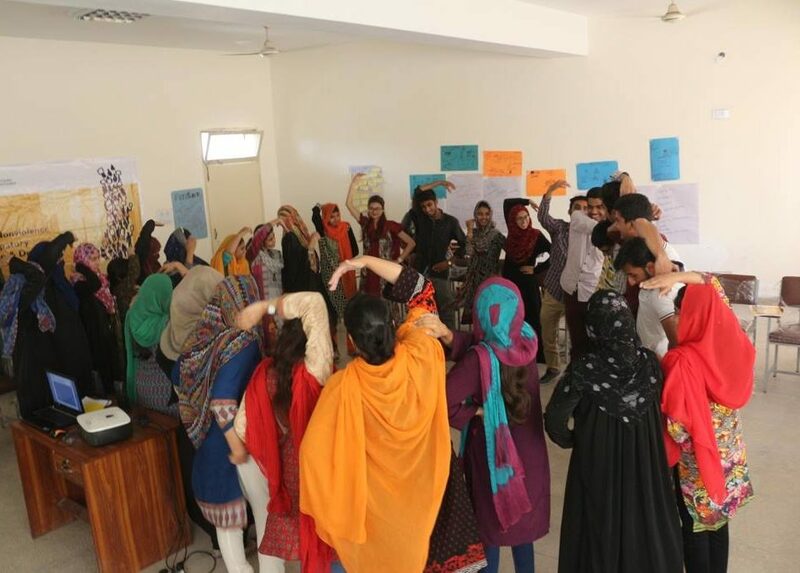 The project created a safe and inclusive space for youth (including sexual and gender minority groups) where they could acquire knowledge and skills related to nonviolent conflict and movement building. They learned about how they could engage in the democratic process and discovered tools and resources that can be used to demand their rights as citizens. Through theories and historical examples, participants were able to understand the power of organized and nonviolent civic pressure, which can transform and shift the status quo. 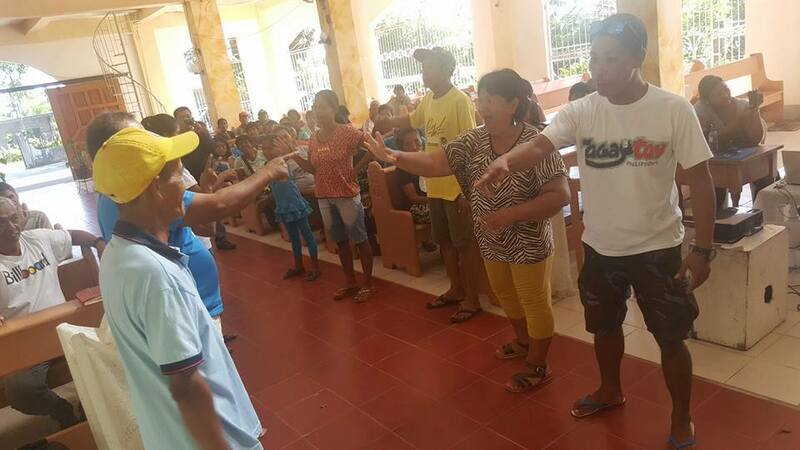 They learned exercises and simulations about how movements are managed while facing repression. This helped participants familiarize themselves with the importance of organizing people around a common vision to take strategic actions. Following the workshops, a gender dialogue session was held to explore gender roles and spaces within movements and nonviolent civil resistance processes. 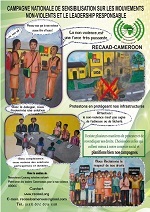 A handbook of reading materials and activities used during the workshop was distributed. Mariam also initiated the translation of articles on nonviolent civil resistance that has made the content more accessible in Pakistan. It will serve as a guide and reference on the subject of civil resistance in future endeavors. Alfonso launched the Laboratorio Social de la NoViolencia” project. It aims to spread knowledge on nonviolent conflict and civil resistance by producing educational materials and videos on these topics, and also creating networks among youth and grassroot organizations in different parts of México, especially in areas with high levels of violence. 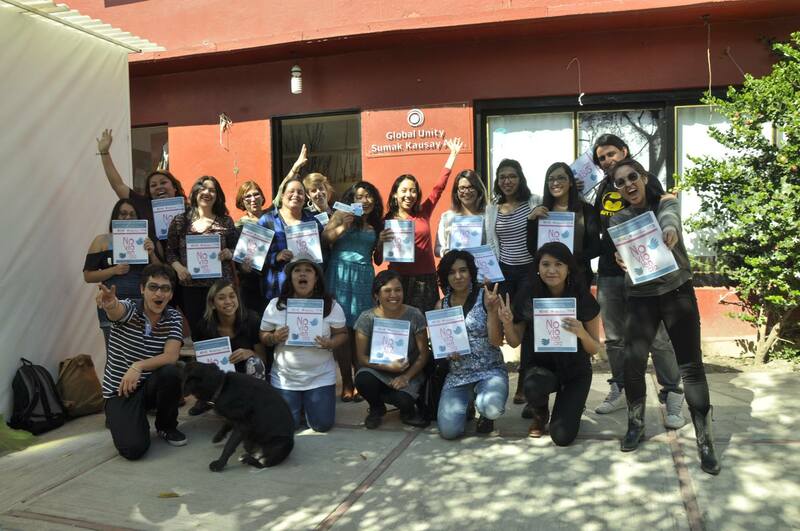 Five intensive workshops were conducted in 2016 for more than a hundred participants in Tijuana, Morelia, Cuernavaca, Juárez City and México City. Each session featured a toolkit with a workbook, anthologies of essential readings, three videos on nonviolent conflict and civil resistance, and a Trainer’s Manual as for future workshops. The first round of workshops saw the creation of a youth network with the goal of fostering continued learning and exchange about the theory and application of nonviolent conflict and the strategic aspects of civil disobedience. The Youth Peacebuilders Network has been active since, sharing the materials created by the Social Lab and organizing more workshops and activities with other youth organizations in México, especially in those communities who suffer from political and violent crime. Maira’s project aimed to empower social and indigenous movements in the Brazilian Amazon by providing easy to implement tactical tools for more sustainable strategies. A series of training videos about nonviolent resistance were produced and showcased during and after a workshop which was held in the Amazon in February of 2016. 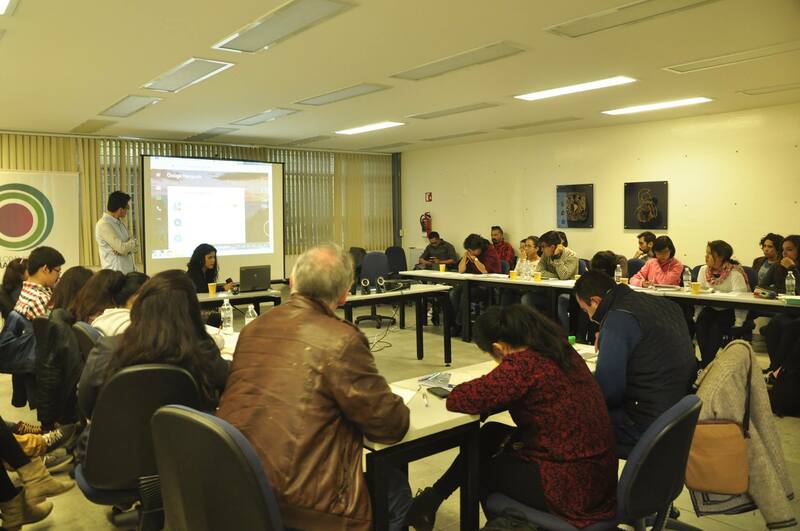 Besides empowering local Amazonian movements, the initiative also led to the creation of a series of short workshops held at the Federal University of Mato Grosso (UFMT) taught by a law professor using the material created during the LIN project. The main objective of this initiative was to equip students with basic knowledge and practice of nonviolent conflict and peace terminologies. Six seminars were conducted at Issyk-Kul State University in Karakol city from February to March 2016. 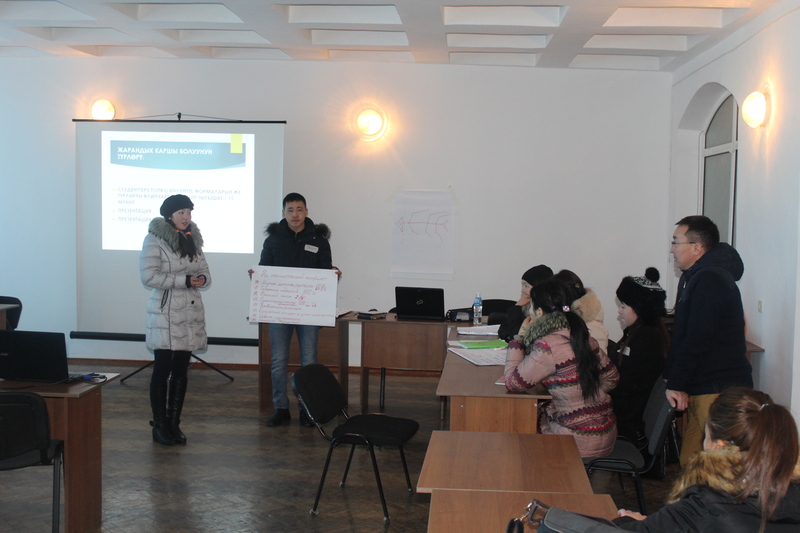 Up to thirty students – mainly from villages around Karakol city- participated in the trainings. During the seminar, students practiced their knowledge and skills on civil resistance through role play and theater performance exercises. Civil resistance topics and theories were new to students and it was very interesting topic to explore in their native language. Archiwal’s project aimed to introduce concepts of nonviolent struggle in Asadabad, the capital of Kunar province, one of the most volatile provinces of Afghanistan. 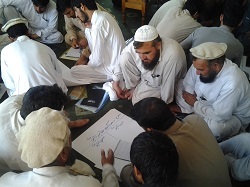 Activities included the development of a manual on nonviolent civic mobilization in Pashto and a four day introductory workshop for over thirty students, religious scholars and tribal chiefs. Each participant committed to sharing the knowledge they gained with their communities in the weeks following the event. The workshop was held under the auspices of OSCAR, an organization pioneering the translation and dissemination of knowledge on civil resistance in Afghanistan. 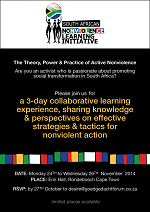 In partnership with the local nonprofit Embrace Dignity and the Goededacht Forum, Shireen organized a three-day workshop on Active Nonviolence in Cape Town, South Africa in November 2014. Thirty activists working on a diverse range of human rights and social justice issues attended, including from the “Right to Know” campaign and service delivery campaigns. In addition to the workshop, Shireen compiled a comprehensive workbook with resources on strategic nonviolent action, including translations of key civil resistance resources into Xhosa. The workshop has since led to several other initiatives, including film screenings of the A Force More Powerful documentary, which features a segment on the anti-apartheid boycott, and as well as discussions. University student leaders representing five state universities joined together for this introductory workshop on the theory, practice and global history of nonviolent struggle. 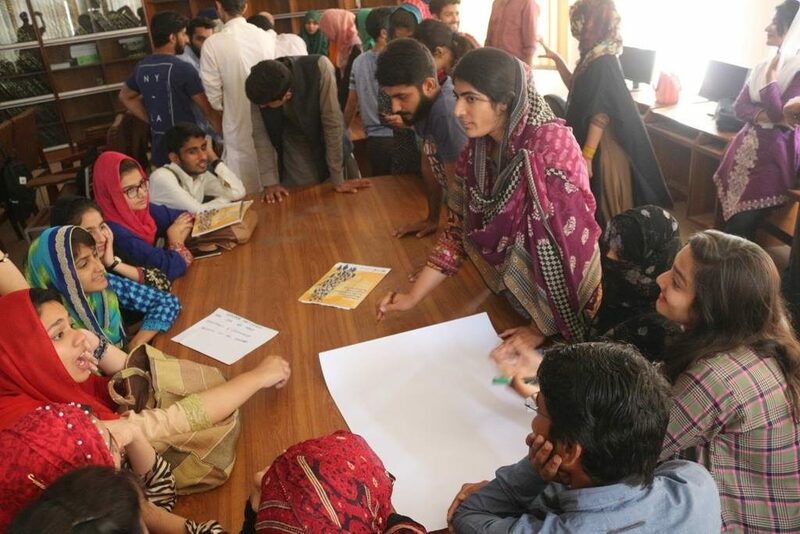 The workshop also provided space for student leaders, who often work in isolation, to connect with one another, share their experiences and develop a network that would foster future collaboration and coordination of activities across universities. Upon returning to their universities, these student leaders distributed posters and stickers designed to educate students about nonviolent action, while also carrying out awareness-raising campaigns and discussions about nonviolent action on campus. 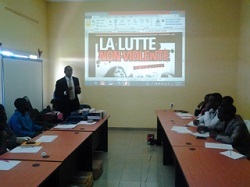 Stephen’s project aimed to enlist the participation and support of the Vice Chancellor at the University of Buea in developing nonviolent action related curriculum, teaching and training. Upon exposure to the topic through educational videos, the Vice Chancellor accepted to fund a two-day training on nonviolent discipline for student leaders on March 26 and 27, 2015. The initiative also led to a new club about nonviolent action. In 2014, Sarah initiated a new training program introducing the concept of nonviolent conflict to youth and community activists in Vanuatu. Through building a network of activists in Vanuatu, and linking with activists in Solomon Islands, Papua New Guinea and West Papua, the program provided the tools and resources to people at the grassroots level to successfully use nonviolent action to tackle systems of oppression and corruption that plague their communities. This program aimed to demystify nonviolent conflict in a way that is easily understood and relatable to the Melanesian context using pidgin English. The program included a 7-day workshop lead by local trainers from Further Arts and Youth Against Corruption Vanuatu, followed by a 1-day seminar inviting the wider public and other civil society groups to participate in and exchange with each other. With a number of new ideas, tools, and exercises to test out, participants of the program are now grappling with the more difficult task of transferring civil resistance methods to their work and communities. In the coming months, a handbook will be printed and distributed to community activists in the program’s network, and follow up activities will be organized to continue strengthening the network and understanding of nonviolent conflict and nonviolent action in Melanesia.